On November 1, Star Cinema will once again add spice to a Chinese tradition after the back-to-back success of Feng Shui that features Kris Aquino and with Coco Martin in the second installment. This time it is about the disturbing and horrifying tradition of “ghost marriage” or also known as the “spirit wedding”. 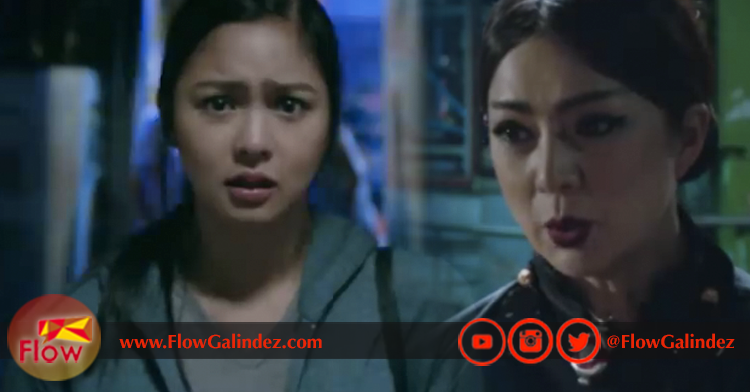 Kim Chiu returns to Star Cinema for her second horror film after the success of “The Healing” with Vilma Santos-Recto. Kim Chiu will be playing the role of Mayen, a young woman burdened by her family and needs to find ways in order for them to live day after day. As a Filipino-Chinese, Mayen seeks help from Madame Angie Lao, a matchmaker. With her eagerness to bring fortune to her family she accepted the offer of a bizarre unfamiliar world of Chinese tradition and that is marrying a dead man and that makes her “The Ghost Bride”. But what is Ghost Marriage? Chinese ghost marriage was usually set up by the family of the deceased and performed for a number of reasons, including the marriage of an engaged couple before one member’s death, to integrate an unmarried daughter into a patrilineage, to ensure the family line is continued, or to maintain that no younger brother is married before an elder brother. “The Ghost Bride” will be showing on November 1 in all cinemas nationwide under Star Cinema. Kim will be joined by Matteo Guidicelli, Alice Dixson, Jerome Ponce, Enzo Pineda, Christian Bables, Kakai Bautista and Beverly Salviejo. Under the directio of Chito S. Roño. Previous ArticleWhang-Od is joining the 66th Manila Fame on Oct 20-22!